Fallen tells the story of a beloved hero Ephraim (Brian Kavanaugh), who has turned his back on the people that he swore to protect. He must contend with the scared population of the city that vows for his return, including a lone police officer (Errol McLendon), a vigilante (Andrew Staton), and a frightened boy (Harrison Boxley). When a mysterious catastrophe rocks the city of Chicago, the scared citizenry react in various ways that force Ephraim to make a heavy decision. 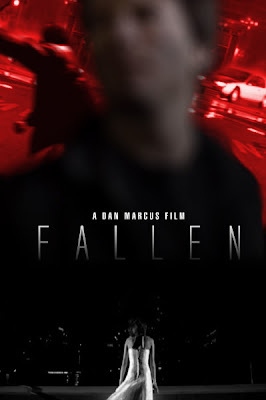 "Fallen" Theatrical Trailer from Dan Marcus on Vimeo. Second and last trailer for the short film "Fallen". Edited by Anthony Sellitti.